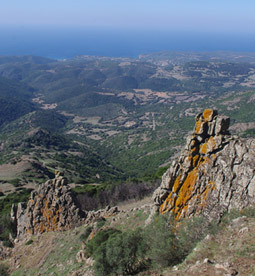 The best biking tours in Sardinia take winding, thrill-packed roads – a string of sights, colours and splendid views. You certainly won’t be disappointed in the coastal roads of Costa Verde, crossing pristine, wild countryside clothed in Mediterranean brush. Especially beautiful is the coastal road from Marina di Arbus to Piscinas, which ranks 7th in the classification of Quattroruote Italy’s ten most beautiful coastal roads. A prestigious recognition, confirming the enthusiastic reviews by the motorbike tourists who have experienced this route. This stretch of coast is especially charming for motorbike touring couples – an enchanting setting dotted with romantic places and splendid views. 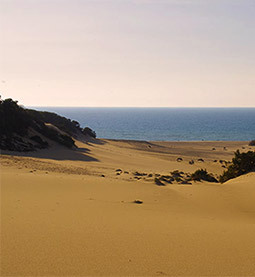 Il Quinto Moro offers covered, attended parking plus all necessary information material: detailed maps of the coast together with complete itineraries to discover South-western Sardinia by motorbike.